Inspired by elements of Asian "yurts" or "ghers," Navajo "hogons," and Native American "Hidatsa Lodges," combined with state-of-the-art Passive Solar Design Principles, the Solargon "Smart Cabin" is an Energy Saving Octagonal Structure designed to take full advantage of The Sun. Even during a mostly cloudy day, the Solargon will gain solar energy and efficiently heat itself without an internal heat source. An operable skylight at the peak of the roof opens to allow for summertime cooling. In winter, temperature difference between inside and out is commonly 35 degrees or more, even with no internal heat source. 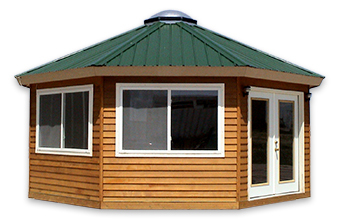 Due to the smart placement of the southern facing windows and its material-saving octagonal shape, this cabin earns huge energy savings. Built with Structural Insulated Panels (SIPs), the cabin easily assembles in a matter of hours. To learn more about SIPs CLICK HERE. ​These Advanced Building Technologies represent one of the largest and most promising techniques to contribute significantly to Low-Impact Living. 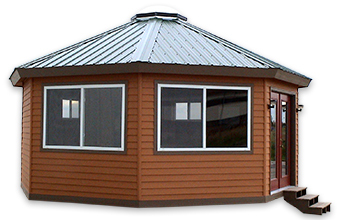 Our open, Octagonal Designs allow Convective Airflow for more even distribution of Passive Solar-Generated Heat. ​​Properly sized windows are placed at the southeast, south, and southwest walls. An off-the-grid solar heating/electric system is available, making the Solargon “Smart Cabin” a true low-impact and green building. 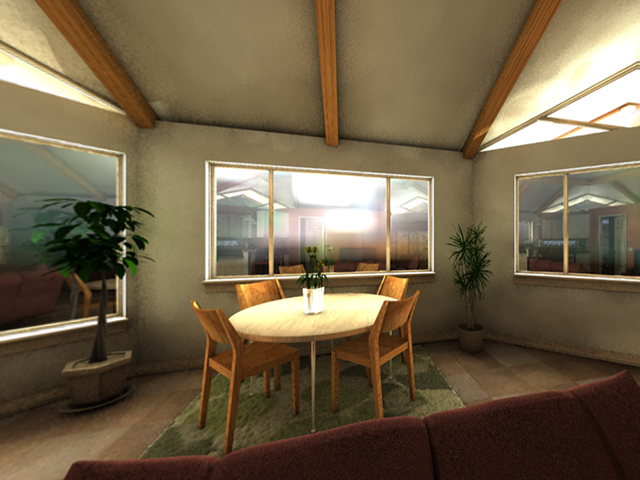 ​Solargon's Passive solar designs can reduce demand for heat by 60%. (699 square feet octagon) available with 8', 9', 10', or 12' side walls. The walls and roof are made with R-42 ICS Eco-SIPs. A SIPs floor is available. The roof has four planes. The "Sky-Pyramid" is operable for venting. 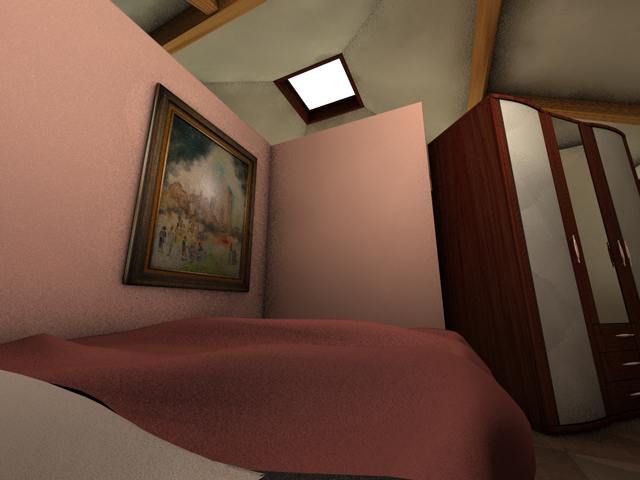 A loft can be added. (311 square feet octagon) available with 8', 9', or 10' side walls. 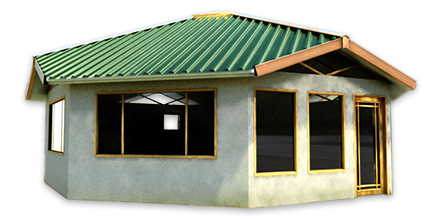 The walls and roof are made with R-28 or R-42 ICS Eco-SIPs. 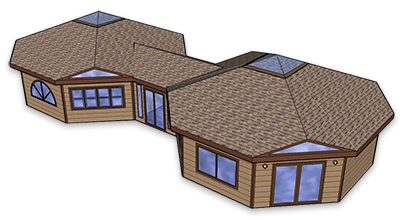 The roof can have eight planes or four planes. The "Sky-Dome" is operable for venting. 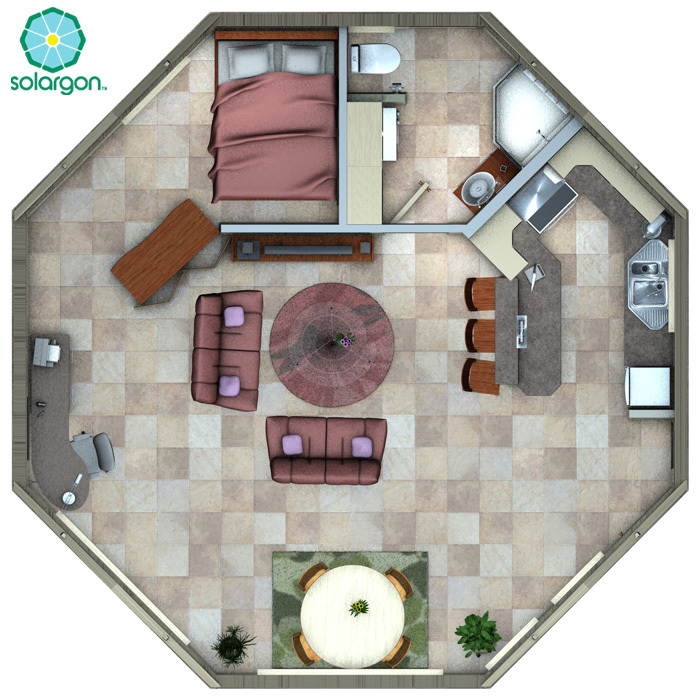 Using the copyrighted Octagonal Design and Vestibule connection units, the possibilities are truly endless when it comes to designing a one-of-a-kind Solargon home. We have included the block models below to illustrate just a few of the design concepts exclusive to building with Solargon. Use your imagination, Green Building with Solargon is fun! 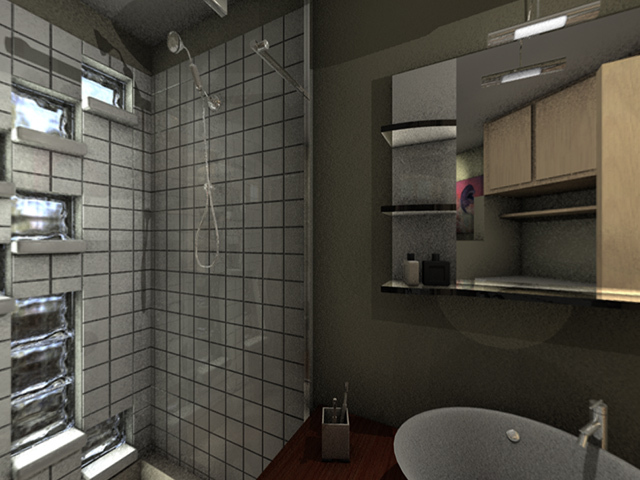 Solargon offers a wide variety of different Interior Design options. CONTACT US for more information and pricing. Solargons can be mounted on Slab-On-Grade, Over a Crawl-Space, Over a Basement, or On Piers. 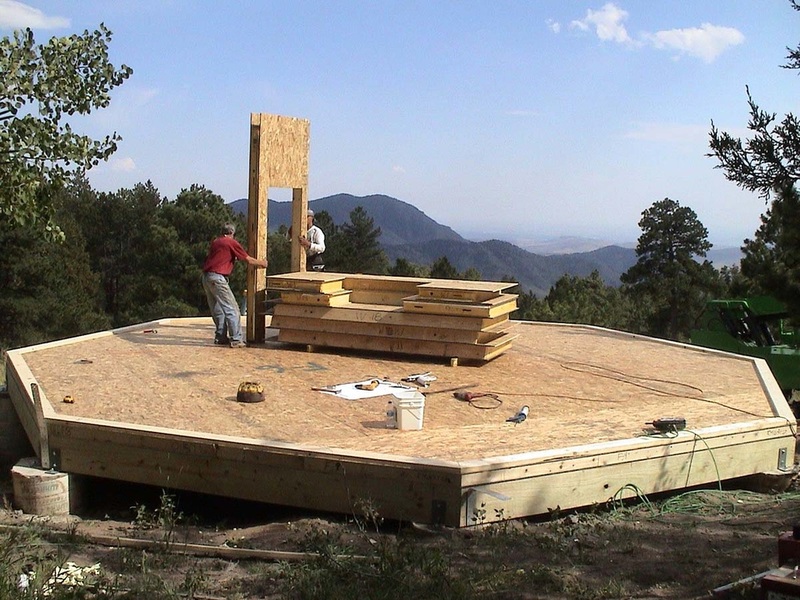 ​ICS Eco-SIPs Insulated Floors are availble for Solargons and Yurts - The floor can have an insulation value of R-28 or R-42. ﻿SIPs Extreme Insulation Wall and Roof Systems are manufactured by Insulated Component Structures (ICS Eco-SIPs) in Fort Collins, Colorado. Solargon homes and smart cabins are inspired by design elements from Native American "hogons" and "hidatsa lodges" and Asian nomadic "yurts" and "ghers" or "gers" and combine them with Passive Solar Design Principles. Using the latest in green-building technologies we have created structures that work with and within the environment, rather than dominating or disregarding it. Green-building is the practice of increasing the efficiency with which buildings use resources: Energy, Water, and Materials . . . while reducing building impacts on human health and the environment through better Siting, Design, Construction, Operation, Maintenance, and Eventual Removal – the complete building life cycle. A similar concept in Natural Building, which is usually on a smaller scale and tends to focus on the use of natural materials that are available locally. 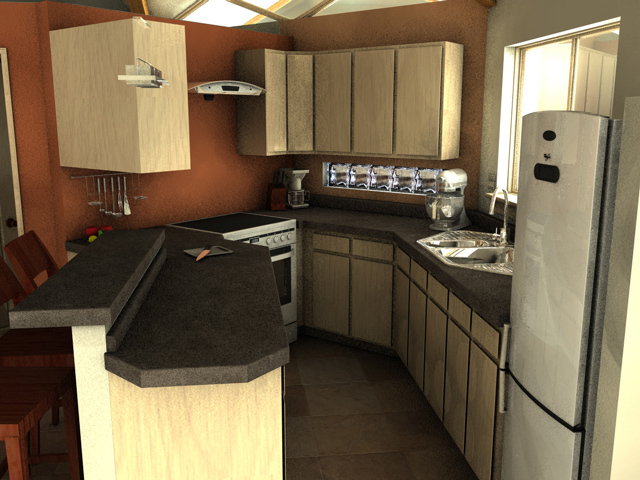 Solargon homes combine elements of both concepts.